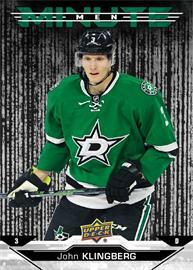 Exclusively found on Upper Deck ePack website. 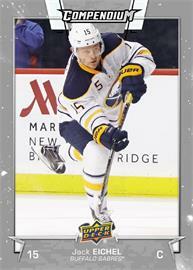 Compendium returns to e-Pack with the biggest hockey card checklist of the year. 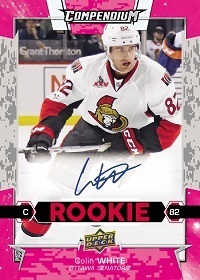 The product is broken down into three series, released on Upper Deck ePack throughout the 2017-18 hockey season. 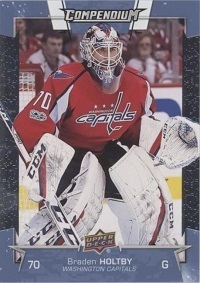 Series 1 of Compendium is the first wave of (#1-300) cards that features a huge checklist of players from across the league. 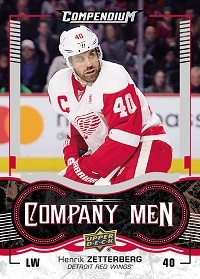 Find digital only Magenta parallels 1:3 packs, on average and look for Compendium Series 1 exclusive inserts that include digital Minute Men, Company Men, and Carbon F/X cards. Look out for rare Printing Plates randomly seeded into packs of Compendium. Collect 10 copies of any individual digital Base Set (#1-300) card on Upper Deck e-Pack then trade it in to get an e-Pack exclusive Blue parallel of that card. It’s a real card with the ability to have it mailed to you. Get 10 of the base card Blue parallels and trade it in to get a Gold parallel. Then you will have the option to redeem it for the three Sp cards. If you trade in a base set, you get the base version. If you trade in a Blue parallel set you get the blue versions and so on. Base, blue and gold base cards stay in your account but are marked “redeemed.” The digital only Magenta set you have to “trade in” or “combine” and you will lose those cards when you trade them in. 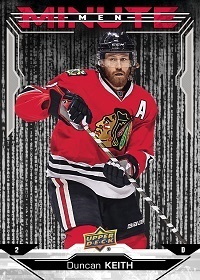 Collect the entire 25 digital Carbon F/X set on e-Pack and get this real card. Collect the entire 25 digital Company Men set on e-Pack and get this real card. 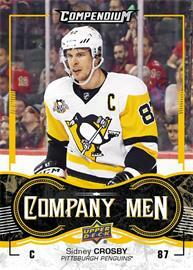 Collect the entire 25 digital Minute Men set on e-Pack and get this real card. 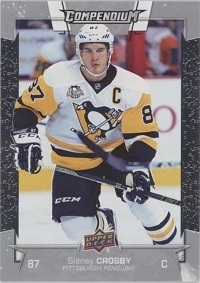 Collect all 9 insert achievement cards and get this real Penguins card. 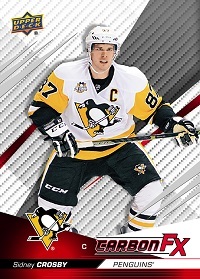 You have to get all the insert achievements in Series 1 (FX-SP Sidney Crosby, CM-SP Henrik Zetterberg, MM-SP Duncan Keith), Series 2 (TBA) and Series 3 (TBA) then you will get this bonus card. You need to complete the 30 card Chasing Greatness Insert cards from Series 1, 2 and 3. 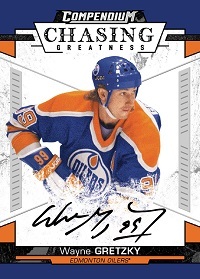 ONLY the first 10 do to so on e-Pack will get this Wayne Gretzky autograph.